At a traditional Muslim wedding celebration in Zanzibar, thumping music, ululating women, and spirited shouts fill the air. Nearly all of Zanzibar's and much of Tanzania’s coastal inhabitants adhere to Islam, while inland populations follow Christianity, Hinduism, and indigenous faiths. 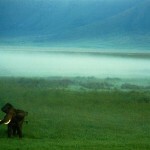 Tanzania is an East African nation one of the oldest inhabited places on earth. 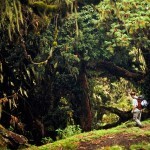 Today it has a population of about 45 million, of which Muslims are about 35%. 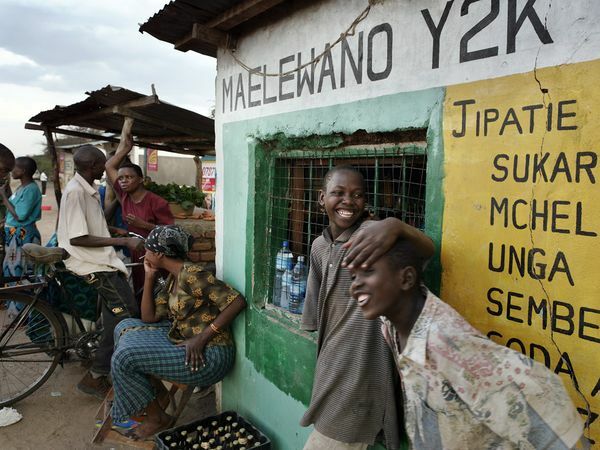 The official languages are Swahili and English. 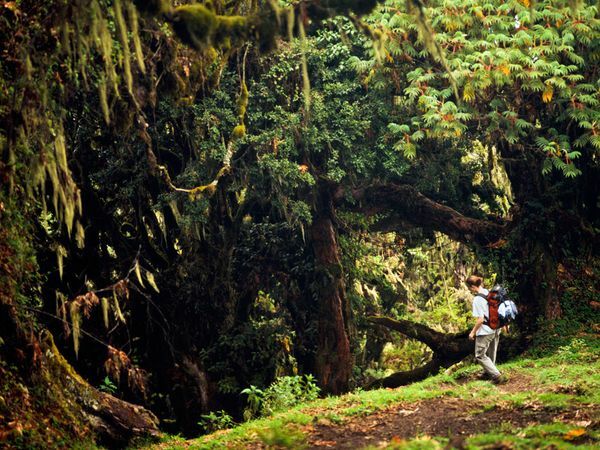 It’s an incredibly beautiful country, with the stunning Mount Kilimanjaro, rain forest, desert plains, and an abundance of wildlife. 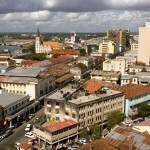 Dar es Salaam (“Home of Peace” in Arabic) is the largest city and is the commercial center, though it is not the political capital. 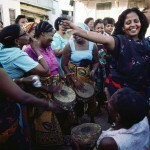 The African population of Tanzania consists of over 120 ethnic groups. There are large groups that are descended from Arabs, Indians, and Pakistanis, and there are also small European and Chinese communities. 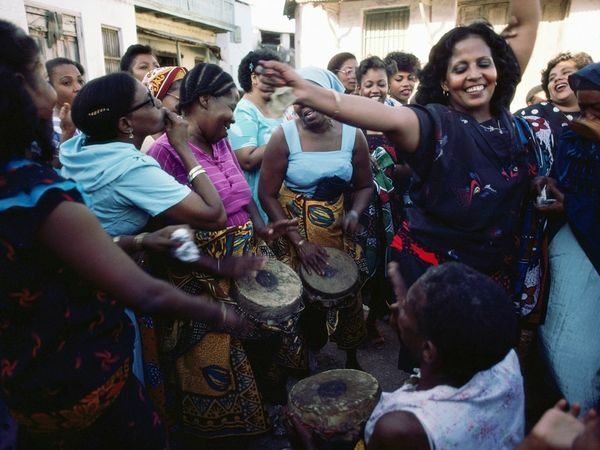 The people of Tanzania pride themselves on their diversity and their ability to live together in peace. 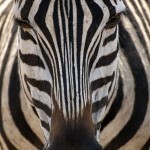 Boldly striped in distinctive patterns, no two plains zebras look exactly alike. They are the world’s most widespread species of zebra, occupying the open, grassy plains and woodlands of eastern and southern Africa. 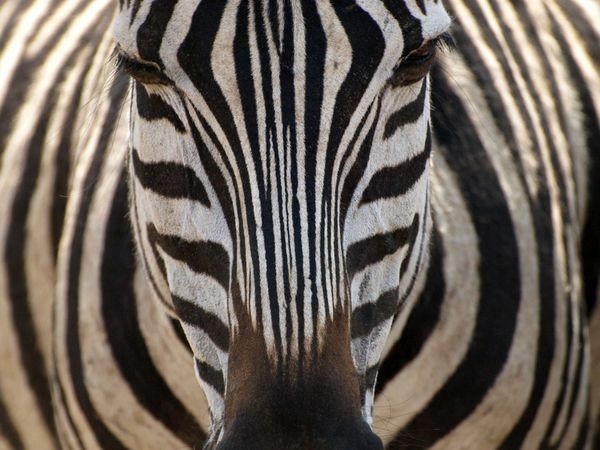 With acute vision and hearing, zebras act as an early warning system for other large animals grazing nearby. 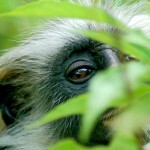 Africa’s most arboreal monkey, the colobus leaps from tree to tree in the forest canopy, rarely descending to the ground. 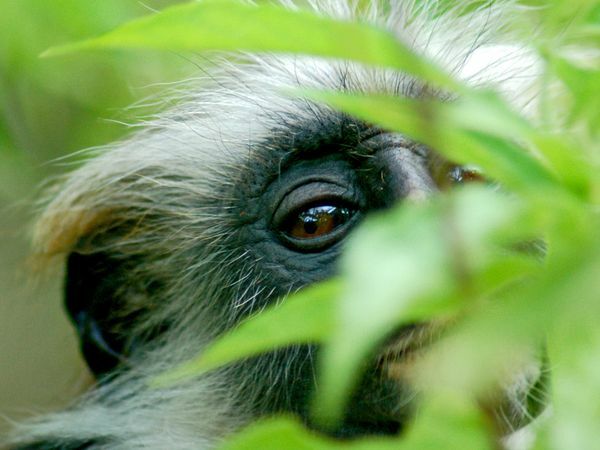 Hunted in the past by local tribes for their striking black-and-white coats, the monkeys’ biggest threat today is deforestation. 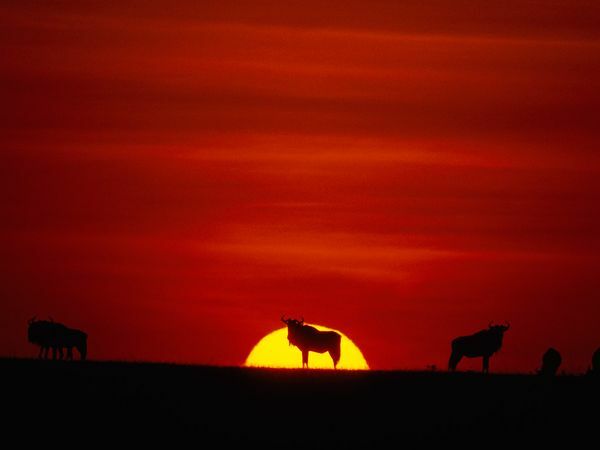 When the dry season arrives at the peak of summer, herds of wildebeest, antelope, and zebra migrate north from the Serengeti to adjoining Masai Mara National Reserve in pursuit of food and water. 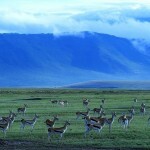 Over two million grazing herbivores partake in this annual journey. 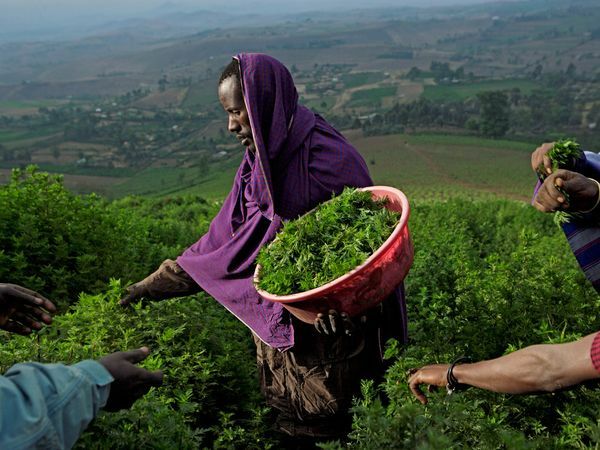 In the highlands of Tanzania, a Wa-arusha man harvests the Chinese herb Artemesia annua, a new crop in Africa and an ingredient in today’s best malaria drugs. 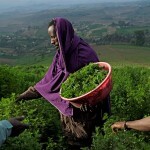 Sub-Saharan Africa suffers 90 percent of all malaria deaths. 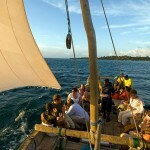 A handcrafted boat propelled by one or two lateen sails, the dhow is a popular mode of transport for tourists visiting the white-sand beaches and historic towns around Zanzibar. Once a separate state enjoying a long history of commerce within the Arab world, this Tanzanian archipelago in the Indian Ocean is a colorful fusion of African, Arab, Portuguese, and European cultures. At a traditional Muslim wedding celebration in Zanzibar, thumping music, ululating women, and spirited shouts fill the air. Nearly all of Zanzibar’s and much of Tanzania’s coastal inhabitants adhere to Islam, while inland populations follow Christianity, Hinduism, and indigenous faiths. 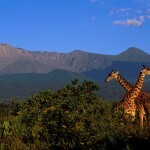 The centerpiece of Arusha National Park, Mount Meru—an active stratovolcano—offers a rewarding climb through fertile forests and bare rocks up to an unparalleled view of the Rift Valley. 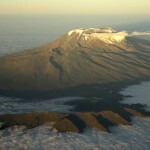 At 14,979 feet (4,566 meters) above sea level, Mount Meru’s summit is slightly lower than Kilimanjaro’s. 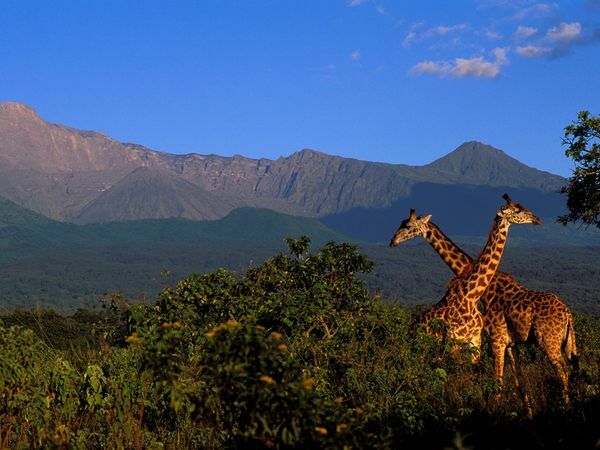 A rich tapestry of habitats spanning from tranquil Momela Lakes to rugged Mount Meru, Arusha National Park is northern Tanzania’s safari capital. Frequently spotted in the park are giraffes, the tallest land mammals on Earth. 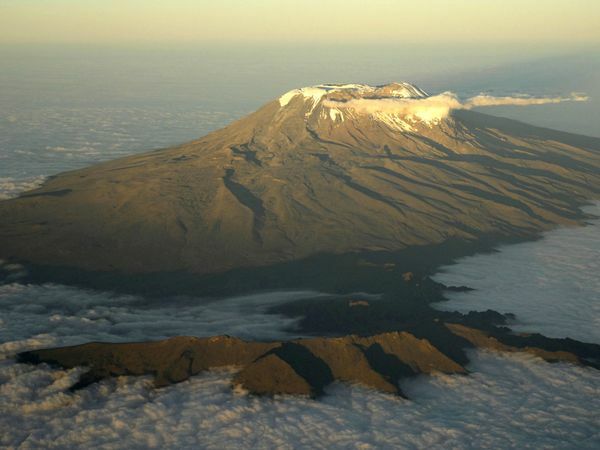 Mount Kilimanjaro’s cone rises majestically from the clouds and soars over Shira Plateau. The mountain’s snow cover, made famous in a short story by Ernest Hemingway, is predicted to be gone completely within two decades. 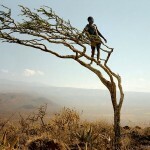 A Hadza man finds the best vantage point for spotting game on the windswept land of central Tanzania. 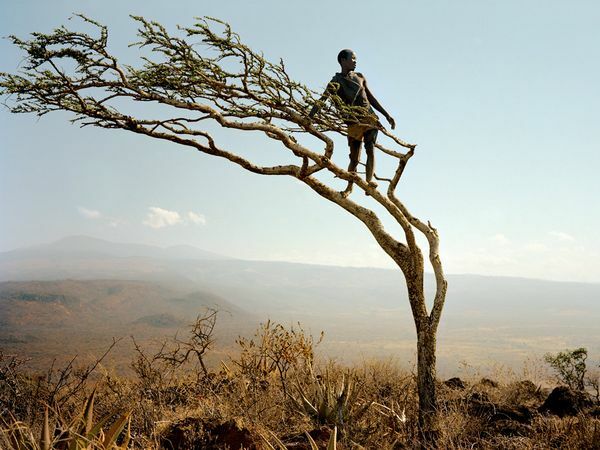 Africa’s last remaining hunter-gatherers, the Hadza subsist on wild game, edible plants, and honey, adjusting their diets depending on season and circumstance. 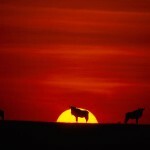 On the western edge of Serengeti National Park, Robanda is a popular place to spend the night while on safari. Fewer than 3,000 people live in this impoverished but vibrant village, where hawkers sell fresh fruit from stalls, children play games in the dusty streets, and entrepreneurial locals cater to the tourism trade. 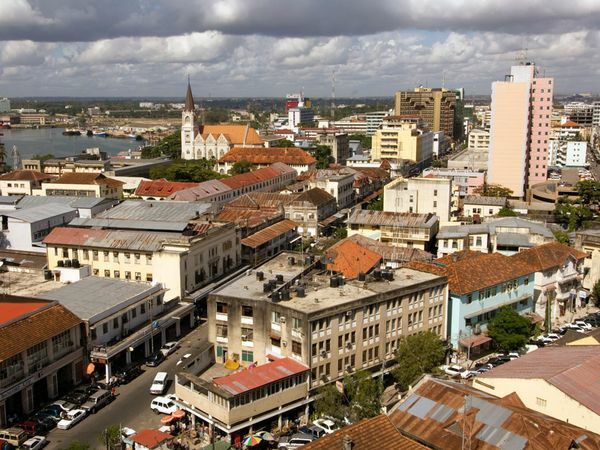 Dar es Salaam—which means “House of Peace” in Arabic—is the largest and wealthiest city in Tanzania. 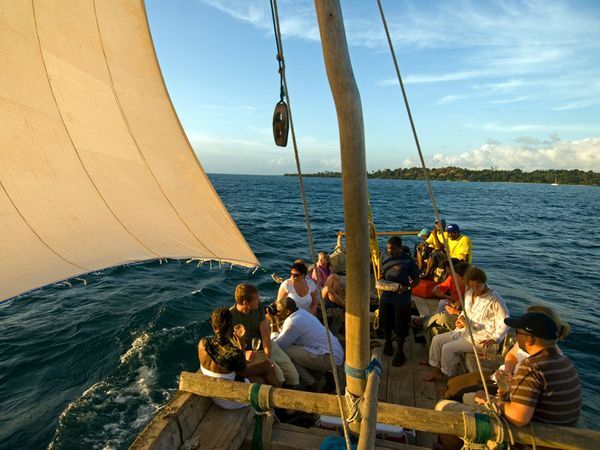 To many travelers, the city is just a convenient port of call en route to Tanzania’s more exotic locales, but this bustling seaport offers many cultural delights, from lively markets supporting the agricultural economy to colonial-era architecture. 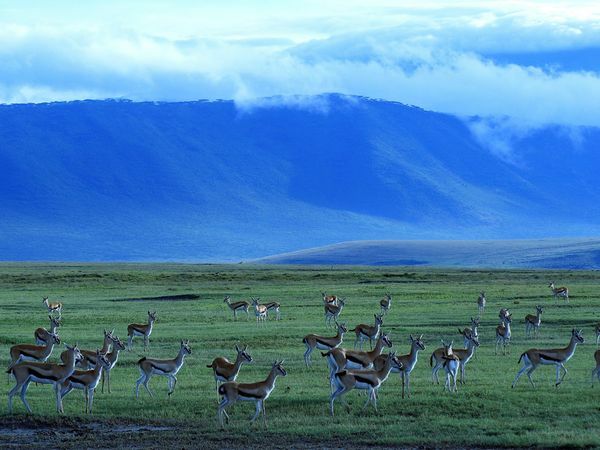 Once a giant volcano that collapsed inward millions of years ago, the Ngorongoro Crater is today the largest unflooded and intact caldera in the world. 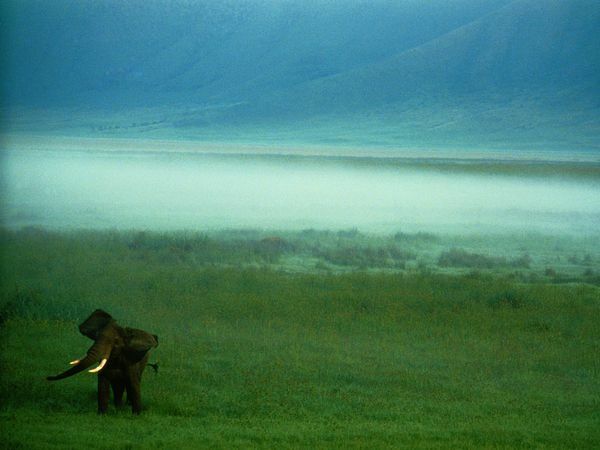 Lone bull elephants with imposing tusks—survivors of the ivory trade in decades past—roam the crater floor, while matriarchal elephant herds prefer the surrounding highland forests, which fall away to the tawny plains of the Great Rift Valley.